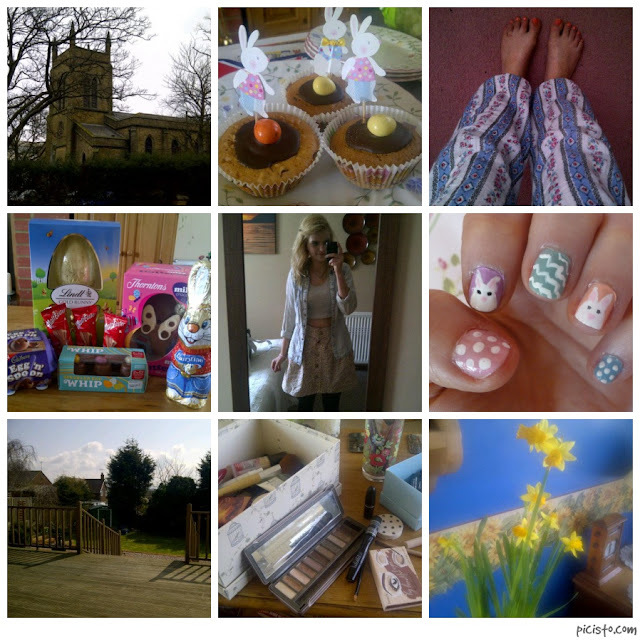 What are your Easter weekend highlights? Firstly thanks so much for leaving a comment on my blog I am now a follower of your blog. Secondly wow your blog is lovely I love the background. I really like your bunny nails! They are super cute. Did you do them with a paint brush or a nail pen? I'm terrible with doing nail art on my right hand (I'm right handed), so I usually try to avoid doing super complex art because I know that when I get to the right hand it's going to look really bad. Seriously, if I tried to paint a bunny with my non-dominant hand, it would look like a white cotton ball monster. Sounds like you have a lovely Easter! I love your Easter-themed nails! hey meg, love the post. Your nails look super cute!! !